Joëlle will be participating in several activities at the Perth Festival Writers Week from 21 - 24 Feb. Details are available on the Perth Festival website. A public lecture by Dr Joëlle Gergis, Lecturer, ARC Centre of Excellence for Climate Extremes, University of Melbourne. In her new book, Sunburnt Country, Dr Joelle Gergis pieces together Australia’s climate history for the first time. She uncovers a continent long vulnerable to climate extremes and variability. She provides an unparalleled perspective on how human activities have altered patterns that have been with us for millions of years, and reveals what climate change looks like in our own backyard. This lecture highlights the impact of a warming planet on Australian lifestyles and ecosystems and the power we all have to shape future life on Earth. Dr Joëlle Gergis is an award-winning climate scientist and writer. 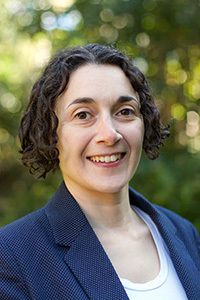 She is an internationally recognised expert in Australian and Southern Hemisphere climate variability and change based in the Australian Research Council (ARC) Centre of Excellence for Climate Extremes. Her research focuses on providing a long-term historical context for assessing recently observed climate variability and extremes. In 2013 Dr Gergis was awarded an Australian Research Council Discovery Early Career Researcher Award (DECRA) fellowship, and her team won the 2014 Eureka Prize for Excellence in Interdisciplinary Scientific Research – informally known as the ‘Oscars of Australian Science’. Her book, Sunburnt Country: The future and history of climate change in Australia (2018), is published by Melbourne University Publishing.